There's nothing new under the sun. Or is there? 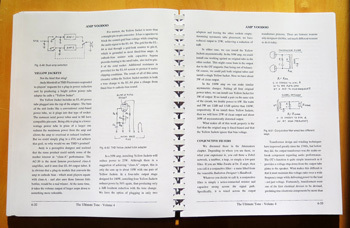 Modern amplifier designers have an ever-expanding range of technologies from which to draw. When they design any new product, they have the choice to use tube, transistor, fet, integrated analog circuits or digital approaches, or any combination of these to achieve their desired goals for tone and cost. Smaller amp companies tend to experiment more with new ideas and new ways to get good tones compared to the Big Four, and it is these small companies who set trends in design. London Power's products designed by Kevin O'Connor have set many design trends, which others are following. TUT4 has hastened this process by outlining, in schematic form, many approaches that achieve the goal of Power Scaling. 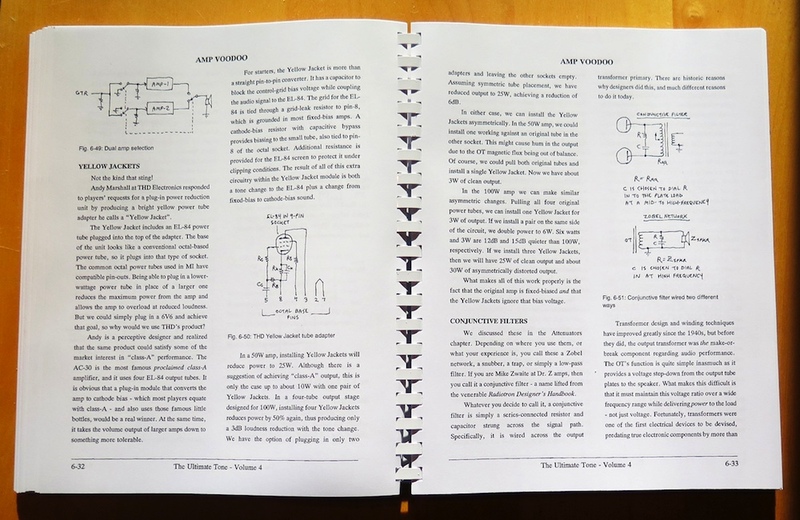 The kits offered by London Power demonstrate certain methods of Power Scaling, but this text gives a complete history and discourse on the technology, outlining how to implement multiple Power Scale controls, alternative circuit forms and the system impacts. Fully integrated systems are presented with full explanations of the choice of components, choice of circuits and how to make seamless installations into existing equipment. Further tutorials outline the methods for Super Scaling, with both fixed and variable boost ratios, using both solid-state and tube methods. True Super Scalers as designed by the author and built by London Power afford large-amp-loudness with small-amp-tone. Other systems touted as being "transparent" or "scaling" are shown for what they truly are: tone distorters. Power Management in its greater context is explored, covering AC and DC current limiting, voltage restoration, voltage clamping, sag control systems both active and passive, and composite zener circuit applications - the latest trend in tube amp biasing. Mains noise abatement and line adjustment are also dealt with. In musical instruments amplifiers, power management is crucial to attaining great tone. Expansive ideas filling technological voids.